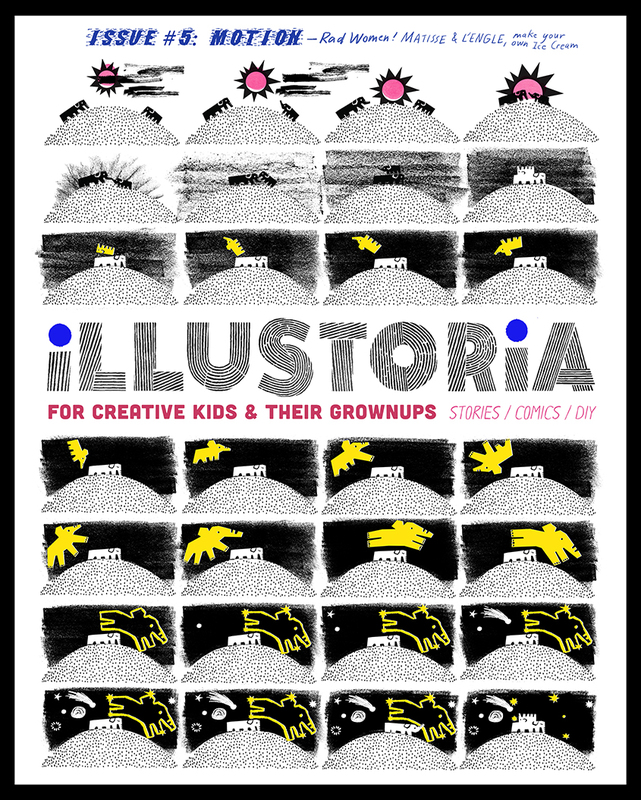 We are thrilled to present issue #5 of ILLUSTORIA, The Motion Issue. This issue is currently at the printer and will be delivered in the coming weeks so be on the lookout! The Motion issue is bursting with invigorating stories and comics that will get your brain humming and your feet gearing up for action. We asked writers, artists, and makers to explore motion in all different forms, and the result is a meditation in movement in the form of sea creatures at the aquarium, the gallop of horses, journeys into space and fantastical worlds, the capturing of motion through art and photography, and even the progressive, forward-movement of trailblazers and activists. Start off the school year inspired and energized through interviews with writer/activist Kate Schatz and visionary artist Miriam Klein Stahl of the bestseller Rad Women Wordwide. Learn how to make your own Victorian-era animated thaumatrope with a DIY activity by our creative director, Elizabeth Haidle. Become a color detective when you read a brief history of vermilion by pigment and watercolor expert Alexis Joseph of Case for Making and master watercolorist Lindsay Stripling. 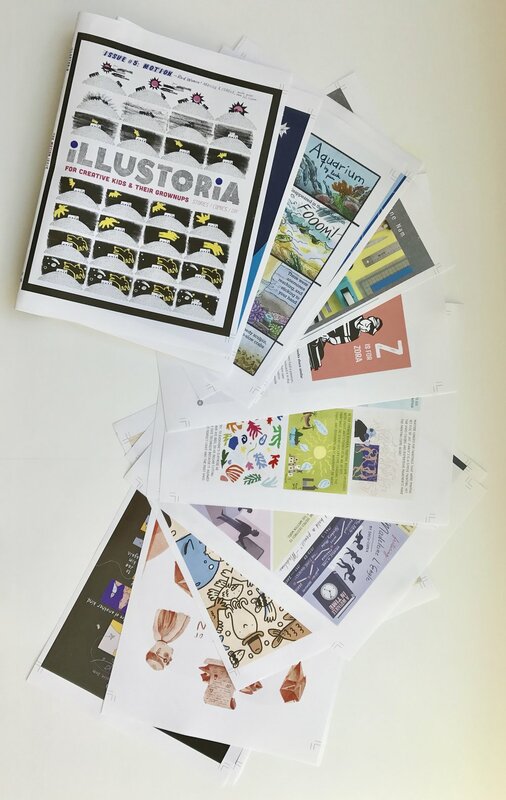 Fall in love with heroes of art history through eye-opening comics on Eadweard Muybridge, Madeline L'Engle, and Henri Matisse, and enjoy so much more in the form of comics, illustrated stories, book recommendations, a playlist and recipe, coloring pages, and activities. So get moving and pre-order your copy of The Motion Issue on our shop page or at your local favorite shop, newsstand, or bookstore!